To offer financial aid for qualified students to The Pinnacle School and The Spire School. Greenwich Education Group School Scholarships are awarded annually to students regardless of race, color, national or ethnic origin, or disability. Bob is the chief administrative and chief financial officer of the upscale clothing retail chain J.McLaughlin. He has also held executive positions at such marquee companies as Juicy Couture, American Eagle, Tiffany & Co., and Fifth & Pacific. Bob is a CPA who has a BA in Economics from Miami University and an MBA from the Kelley School of Business at Indiana University. Mia began her career in credit analysis and trade finance with BHF-Bank. She has devoted her efforts and financial acumen to a wide variety of nonprofits including Darien Advocates for Education of the Gifted and the Tiny Miracles Foundation. 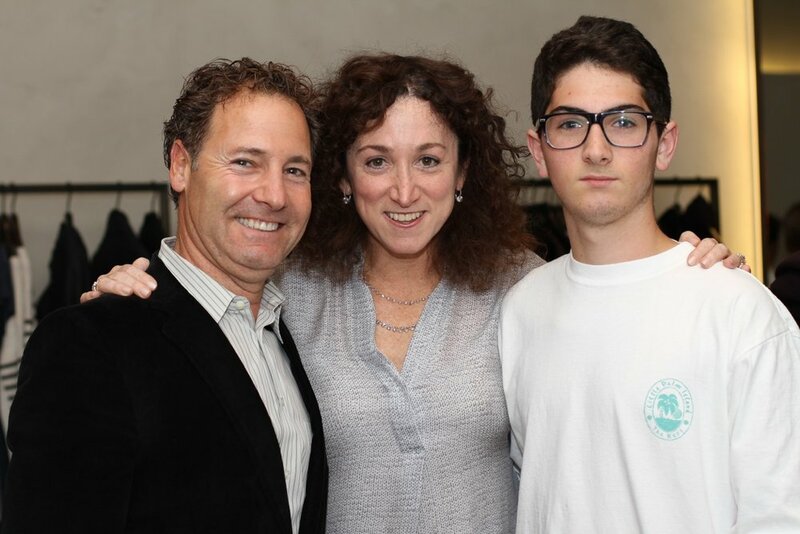 She has also served on the Council of Darien School Parents, TOPS- teen options, a program of the Darien Youth Commission and currently is a member of the Darien High School Student Life Committee. Marlene has three children who attended the Greenwich Public Schools. She is a past PTA president and served on the Glenville School Building Committee. She is a past member of the Greenwich High School Executive Board, a board member and past president of the Women’s Division of UJA Federation of Greenwich, serves on the board of the Greenwich Alliance for Education, and is a member of the Board of Trustees of the King School in Stamford, CT.
Eric is the founder of ARQ^EX Fitness Systems and a director of Owl Rock Capital. Eric was previously a vice chairman of UBS Investment Bank and a Global Group co-head of mergers & acquisitions for Robertson Stephens. Eric’s eldest son graduated from Beacon in 2011. Spencer was a portfolio manager focusing on discretionary macro trading for Tudor Investment Corporation for nearly 30 thirty years. He created the firm’s Global Equity Trading department and served as director of the Market Strategies Department overseeing Global Macro Trading Research. Diane is the past general counsel and chief compliance officer of Bennett Management Corporation. Prior to that, she was an associate with Paul, Hastings, Janofsky & Walker LLP in Stamford, where her practice focused on securities compliance, general corporate matters, corporate finance, mergers and acquisitions, and venture capital transactions. Diane is a member of the Greenwich Country Day School PTA and Parkway PTA. Elisa is an attorney and a member of the New York Bar Association. Originally from New York, she has resided in New Canaan for the past 16 years with her husband, a practicing physician, and their three children. Her son Brandon attends the Pinnacle School. Elisa and her husband have been married for 22 years and are world travelers and avid boaters. She enjoys gourmet cooking, entertaining with friends, and quality time with her family. Elisa looks forward to generating marketing and media ideas for the growth of Greenwich Education Group's School Foundation fundraising events. Margaret Devlin is a travel professional specializing in small-ship educational cruise programs. The majority of her career has been with Travel Dynamics International, where she directs affinity sales. She has worked with such alumni associations as Harvard, Yale, Stanford, Columbia, University of Chicago, Princeton, and numerous others, as well as the American Museum of Natural History, Smithsonian Institution, and National Trust for Historic Preservation. Margaret is a sustaining member of the Greenwich Junior League and is active at Trinity Church. She and her husband reside with their twin daughters in Greenwich. One of her daughters attended the Spire School and is currently attending a top-ranked liberal arts college in New England. Margaret considers it an honor and pleasure to contribute her time as a board member to support Greenwich Education Group's School Foundation. Ann and her husband Ken’s son, Ford, graduated from Beacon in 2016. She is a member of the Grace Notes, a women’s a cappella group, and is co-chair of their 50th Birthday Gala & Celebration this year. She has also served as president, vice president, and treasurer of the Grace Notes. Ann is on the board of the Field Club of Greenwich. She is a member of Hortulus, a Greenwich GCA garden club, and has served on its board as well. For the last six years, she has co-owned and managed Greenwich Redesign, a staging and redesign company. Michèle is a professional hair designer. She is an active volunteer in the Stamford community, has helped raise funds for the Stamford Arboretum, and served as a parent volunteer at Westover Elementary School. Michèle currently volunteers for Backyard Humanitarian and serves as a parent volunteer at Stillmeadow School in Stamford. She is also an active member of St. Leo Parish and is an ordained minister with the Universal Life Church. Michèle has one daughter, Christine, who attends the Pinnacle School, and a son, Blake, who attends the Stillmeadow School. She is eager to help raise awareness of the GEG scholarship fund. Kate was formerly a director at Citigroup in the Fixed Income Division. 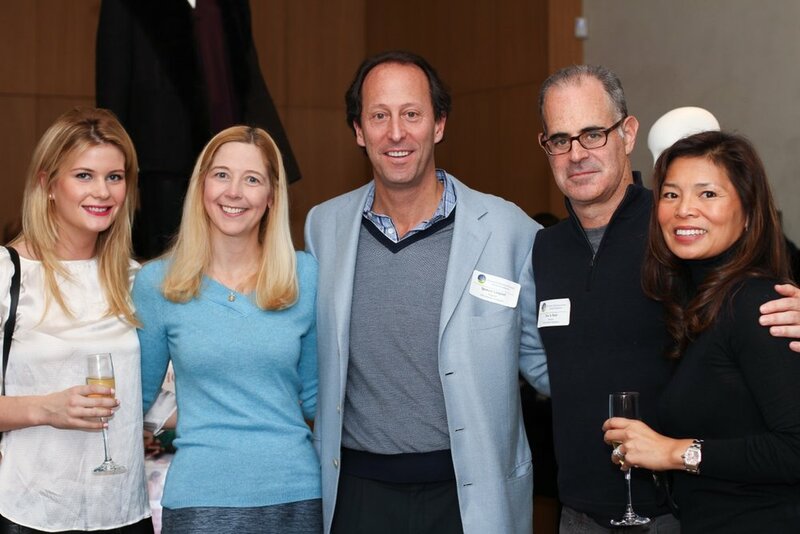 Today, Kate is a board member of FACES at NYU Langone Medical Center. The group focuses on finding a cure for epilepsy and seizures. Kate lives in New York City with her son who attended the Pinnacle School for five years. Cheryl currently works for New Manna Partners and previously served in numerous accounting and finance positions at Nestle Waters North America. She has lived in Old Greenwich for the past twenty years with her husband Frank. Cheryl is the parent liaison for both Fairfield Fencing Academy and Stamford Fencing Center, past treasurer of the Greenwich Catholic School’s PTA, and a past Club Scout Co-Den Leader. Cheryl’s son Frank Jr., who attends the Beacon School, is a competitive foil fencer, and they travel across the country for fencing tournaments. Cheryl is also an active member of the Saint Catherine of Siena Parish. She is an integral member of the Beacon School Parent Association and is responsible for co-chairing the GEG 2017 Fundraiser Event. As a mother of two children, one in the Greenwich Public Schools and one in a local independent school, Vicky has a unique vantage point on all stages of the educational consulting and advocacy process. Her passion as an educator and her active participation in the community have helped build GEG’s exceptional network of educational connections. Vicky is a professional member of the Independent Educational Consultants Association (IECA), ERB, TABS, and the Enrollment Management Association (formerly known as SSATB). Vicky serves on the board of the Arch Street Teen Center, Distinguished Teacher Committee for the Greenwich Public Schools, and is co-chair of the 12th Grade Annual Fund at King School in Stamford.